Want to Travel a Little Further? Countrywide Explorer Could be for You. Explore all of Costa Rica in this exciting vacation package! Begin the journey in the lush jungle near the Arenal Volcano where you will go on fantastic tours and stay in one of the country’s most luxurious hotels – Arenal Nayara. Complete with sushi restaurant, wine bar, volcano views, and magical landscaped tropical gardens, the hotel was voted one of the most romantic in the world. From Arenal you will then travel to the cloud forest of Monteverde where you will visit the beautiful Santa Elena Reserve. Monteverde was founded by Quakers and retains much of its charm. Enjoy the relaxed and tranquil atmosphere. Finish your vacation in sunny Manuel Antonio where you will stay at the beachfront resort Arenas del Mar and visit the stunning national park and majestic Damas Islands. Arrive in San José where one of our representatives will meet you and show you to your private transfer. 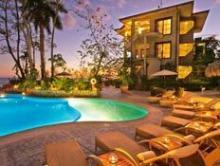 Travel to Arenal where you will stay at the luxurious Arenal Nayara. You will start to explore Costa Rica by going on a Hanging Bridges Tour. 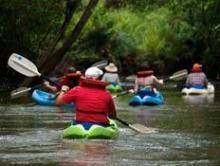 See Arenal like few others do in this exciting adventure that takes you to the heart of the jungle. See wildlife and lush vegetation and finish your day by relaxing in some of the area’s most stunning hot springs. Relax in your luxurious suite at the Arenal Nayara or take part in some nearby activities like horseback riding tours, hiking, or visiting La Fortuna. Take a private transfer to Monteverde where you will stay at the Belmar Hotel—an Austrian Alps-inspired mountain chalets with open-concept bathrooms and a two person Jacuzzi, perfect for couples! Go on a Sky Tram & Sky trek tour to explore the exotic flora and fauna of Monteverde, one of the country’s most richly biodiverse places. 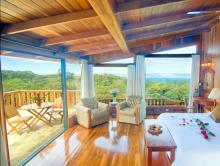 Relax in your suite or visit the town of Santa Elena. 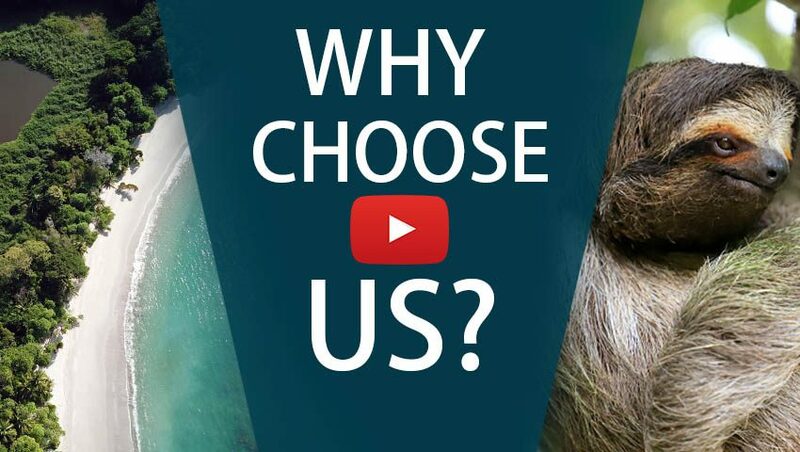 We would be more than happy to organize another tour for you. 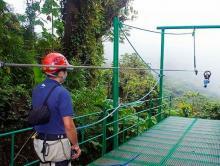 Monteverde offers many activities such as sky trams, canopy tours, and birdwatching. Take a private transfer to Manuel Antonio where you will stay at Arenas del Mar, a beachfront resort with first rate accommodations and impeccable service. 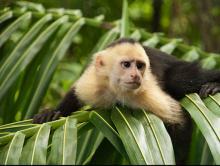 Go on a guided tour of the famous Manuel Antonio National Park. Learn the secrets of the jungle creatures that live in this most stunning of destinations. Spend the rest of the day on one of the most beautiful beaches in the country. Today you will go on a kayak tour to Damas Islands, a pristine estuary where you will see wildlife and make your way through lush mangroves. Relax in your room at Arenas del Mar or lounge by the hotel’s pool. 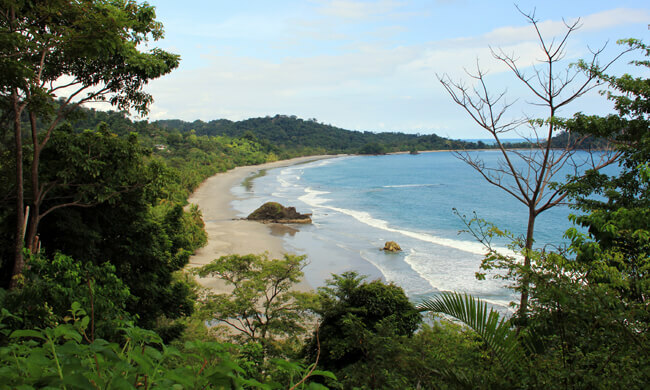 You can also take part in beach activities or explore Manuel Antonio. Visit the spa or sunbathe on the private beach. Take a private transfer back to San José where you will catch your flight back home.